If you just want to explore what online courses are available this is a good place to start. TED A wonderful series of talks from conferences around the world. Be careful though, you can get distracted and spend hours here! 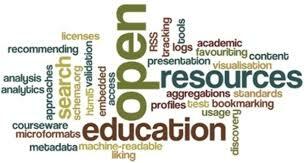 Wikipedia The free open source encyclopedia. It’s got 5.5 million articles on English providing information on almost everything in the world. There are also smaller wikipedia in 298 other languages. Instructables Do you want to learn how to solve sudoku puzzles, make a bicycle trailer or bake an apple pie? It’s all here. Project Gutenberg 56000 free ebooks in a range of formats. All the classics are here. Physics Classroom is an online, free to use physics website developed primarily for beginning physics students and their teachers. Openstax provides free ebooks and other resources for a wide variety of topic areas including, physics, chemistry, mathematics, social science and humanities.